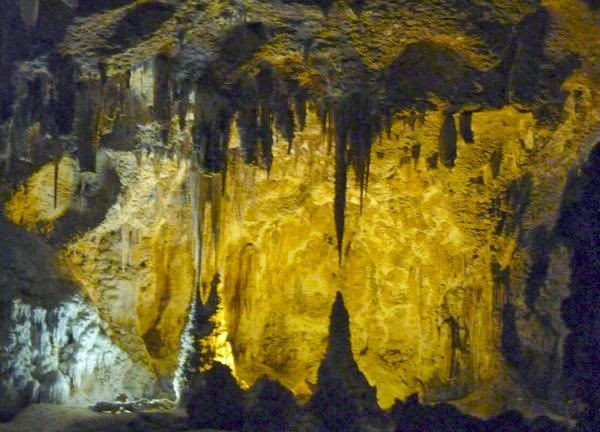 Visited Carlsbad Caverns National Park which is actually several miles south of Carlsbad off of US-180. 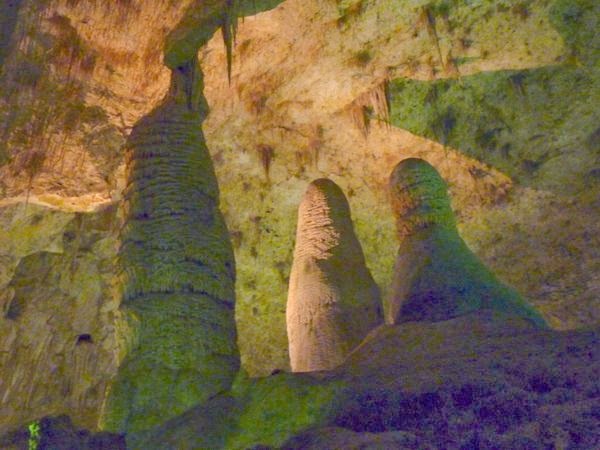 A nice Visitor Center explains the history of the caverns. They also have a gift shop and a large restaurant. Walking in through the original entrance to the caverns is probably the best option. However, it’s about an hour and a half hike down in just to get to the main section. I chose the easy way and took the elevator down 750 ft to start the tour. 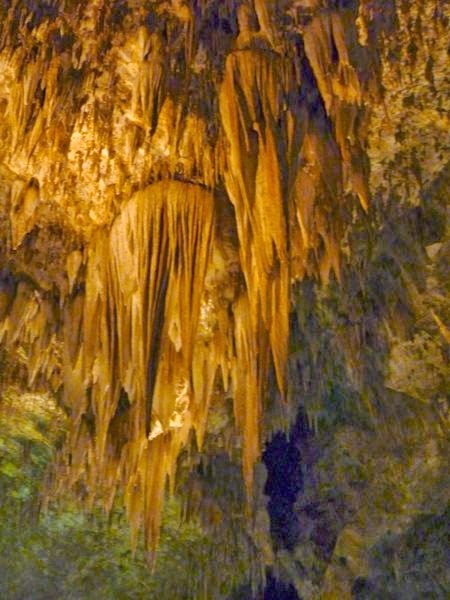 A self guided hike along a railed walkway takes you through the caverns. There are three trails to different sections. I took the Big Room one, as it is promoted as the most spectacular section. 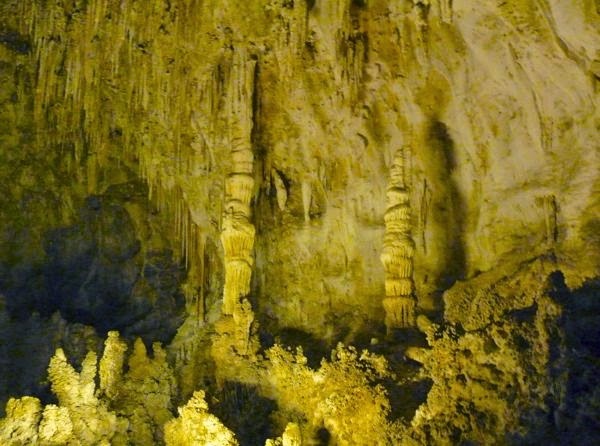 They rent an audio-guide, but I just went and read the occasional sign explaining the formations. I’m not really into the geology, instead being interested in the shapes and textures. My photos are in no particular order. 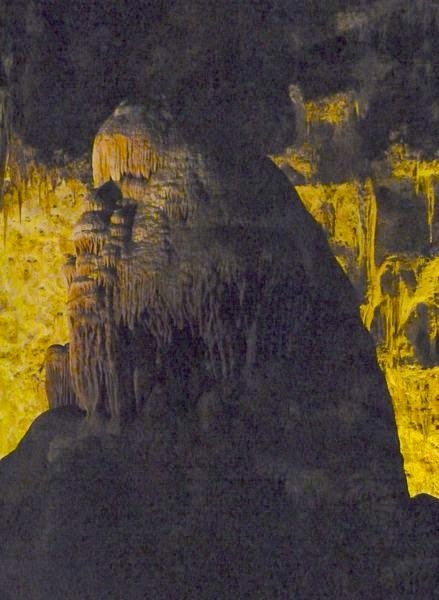 Even though it was about 800 ft down, there were still caverns that went down even further. Now and then would be what looked like a bottomless pit along the trail. Amazing! It was difficult to photograph much of it, even though they provide some lighting. Plus, I didn’t have any idea of what would be worth shooting; so, I just took pix of anything that caught my eye. That strategy resulted in depleting the battery in my camera. It took me about three hours; so, I didn’t go on the other trails. Still, it was impressive and would I recommend a full day for a more thorough tour. 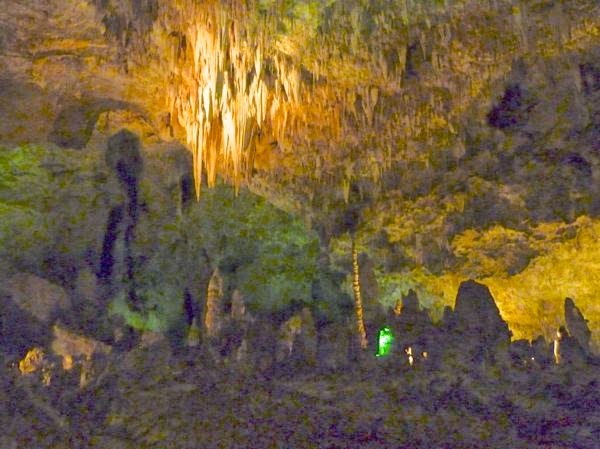 Never went into the Caverns – to claustrophobic for me! Too bad, as it’s a really amazing experience.